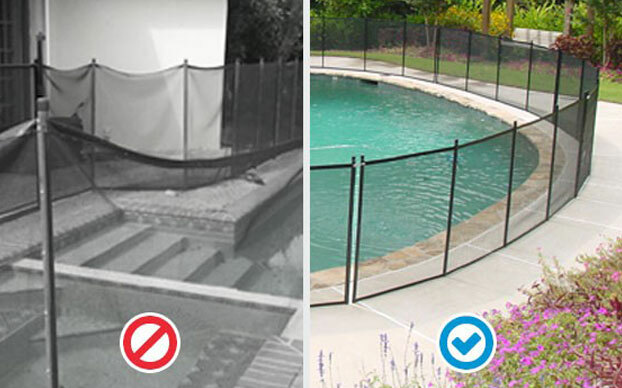 Often times pool owners believe the mesh on the pool fence is the most important safety feature. We wanted to help dispel that notion and educate customers that the support posts are actually the major component to a mesh pool fence. We also wanted to get real people’s opinions. So we took to the streets to test the Protect-A-Child fiberglass fence post against the competition. The first step was to pick a location. A local market in sunny, south Florida was a perfect pick. Mothers, fathers, grandparents, and students came up and tested the strength of Protect-A-Child’s fiberglass fence posts vs. the typical industry standard competing aluminum fence posts. It’s not often a pool fence company sets up beside local artists, musicians and food vendors. We enjoyed the curious questions of, “What are you doing?” and “Why are you pulling those poles?”. After explaining, it gave us a chance to invite people to give their feedback and to experience why the type of post used in a pool fence is critically important. We can talk all day about how superior our pool safety fence is, but it is more valued to let real unbiased people put us to the test and tell us what they think. The comments were very positive, and they came from a diverse group of people. 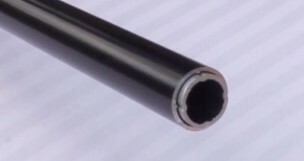 The posts were described as “sturdier”, “safer”, and “an advance in safety”, compared to the competition’s aluminum posts. So, what is the big deal with the posts? While some competitors want you to focus on how they sew their decorative border to their mesh (“quad stitch”), the posts are truly the most important part of the mesh pool fence. They actually support the fence and keep it straight, taut and safe. If the posts are compromised, the fence becomes either unattractive, bent, crooked, or worse yet, broken and unsafe! Also, a fence with aluminum posts, when bumped and bent, will remain bent leaving the fence sagging and unattractive. When you try and straighten an aluminum post it stretches the metal and weakens it – quickly leading to a broken post. In contrast, as you can see in the video above, the strength and resilience of our fiberglass fence posts keep the fence straight and taut. Like a super stout and strong fishing rod it can bend vigorously and repeatedly yet remain straight and strong. This makes your fence much safer and of greater value. So while the mesh strength is important, the post is what really makes the pool fence. Competitor sagging mesh vs. our fence’s straight, taut mesh. We stand by our product, and are happy with the feedback we received from the public. The unique Protect-A-Child solid core composite fiberglass posts provide families with long-lasting peace of mind about the safety of their pool. Read more pool fence testimonials or find a local pool fence dealer to get your free quote.